Unfortunately for me, my ancestor Samuel, son of James and Elizabeth Thornton, left very little evidence of his whereabouts and family life. According to family tradition he married twice and had 22 children, eleven by each wife. He was definitely in Pelham, and is mentioned in the records, as the town owed him money for some service. He is said to have lived in both Campton, Grafton, New Hampshire and in Hatley, Stanstead, Canada. His brother Matthew was something of a land speculator and it is possible that Samuel lived on land owned by Matthew. Of the 22 children only the names of 10 ( of the second bunch) are known, and of those only two are traceable: Samuel (2) born 1775 and Dorcus, born 1779. 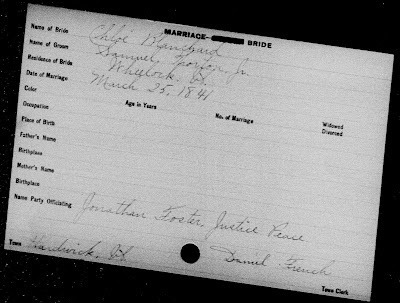 Dorcus married John Durgin and their family is well documented. Our ancestor is Samuel (2). His mother is unknown, and the date and place of his death is also unknown. He was not buried in the Thornton cemetery so it is possible he died in Canada. I have also seen on the web the idea that Samuel was possibly a loyalist, hence the move to Canada. Thankfully, a bit more is known about Samuel (2). He was born in New Hampshire in the year 1775, probably in Thornton, Grafton County, New Hampshire. Family history says that at the age of seventeen Samuel traveled to London, England where he worked with Iron Masters, learning the trade. The Adams Manuscript states that “he adopted a system of coking which gave him great success among the Iron Masters near London”. Samuel (2) returned to New Hampshire prior to 1802, and is possibly the Samuel Thornton in the 1800 census in Thornton NH. If he left at 17 in 1792 and returned by age 26 or 27, he was in England for about 10 years. I have no reason to believe that the Manuscript is incorrect other than the fact that he seems to be a farmer for the remainder of his life. In 1802 Samuel married Katherine Baker, daughter of Benjamin Baker and Sarah Norris. She was born in 1779 in Campton, New Hampshire. Their first child, a daughter Hannah, was born in Campton. They had at least seven other children, most of them born in Hatley, Stanstead, Canada, including my ancestor Samuel (3). Their oldest son, David, was born in Canada in 1808 and their last child, John, was also born in Canada in 1818. Their daughter Hannah was married in Canada in 1822. After 1822 I cannot pin point their location until the 1840 U.S. Federal census, which showed them living in Wheelock, Vermont. At this time period the Canada US border is very open and fluid, with families moving back and forth. Hatley is just on the other side of the border from Vermont. In 1800 it was an undeveloped remote area with no roads, or towns. Many people tried to settle there and gave up due to the harsh conditions. In 1840 the census only listed the name of the head of the household. At the home of Samuel Thornton there were 8 people, two are small children. In the 1850 census all names are listed and Samuel and Catherine were living on a farm in Wheelock with sons David and John and their families living on adjoining farms. In the 1860 census Samuel, (2) lived with his son David. Catherine, his wife, died that year and he passed away in 1866. 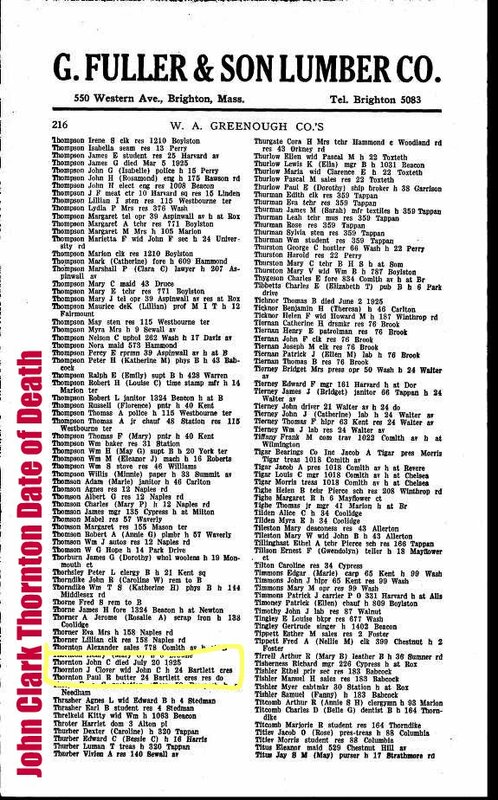 There is a death certificate for a Samuel Thornton who died in Hatley in 1866 and is buried in Canada, it is possible that this is him. Samuel was born in 1816 in Hatley, Quebec Canada. At the time it was known as Canada East. He was married to Chloe Flora Blanchard in 1841 in Wheelock, Vermont. Chloe was the daughter of James and Phebe Carter Blanchard. Chloe was born in Vermont in 1819. They had at least 10 children, the first born in Greensboro, Vermont and the last born in 1859 in Wheelock Vermont. In the 1850 census the family was living in Greensboro, Samuel was a farmer. They had six children, the youngest was a boy named Alva, his age was 6 months, he does not appear in the 1860 census, presumably having died sometime in the intervening years. 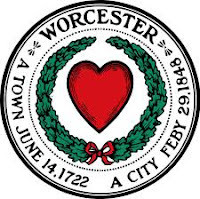 By the 1860 census the family had returned to Wheelock and lived on a farm next to his brother David. Their brother John had died in 1855 and it is possible that Samuel moved back to Wheelock and took over his farm. 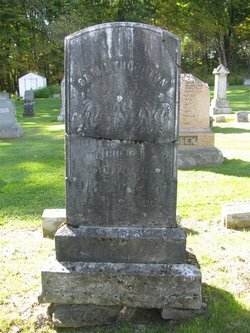 This was a rough time for the family, his brother David and his wife Lydia Clark Thornton lost four children in February 1859. In 1860 seven of Samuel’s children were living with them, the two oldest, both girls are not at home. John, our ancestor is one year of age. By the time of the 1870 census the family had moved once again, this time to Hardwick, Vermont. Samuel’s brother David left Wheelock as well but moved back to Campton, New Hampshire. Samuel and Chloe lived with five of their children. Samuel died in 1874 and Chloe in 1876. 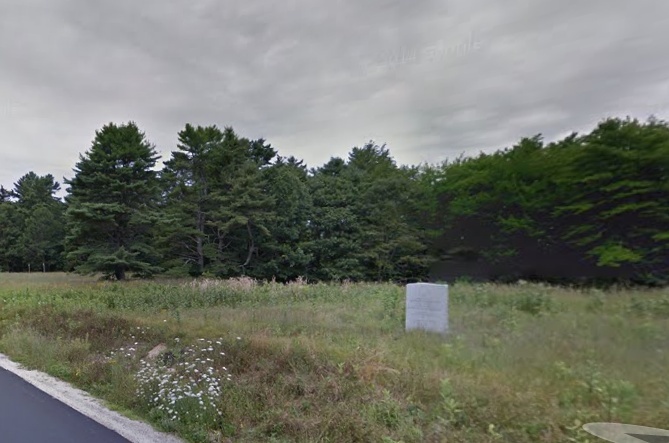 They are buried somewhere near Hardwick, Vermont. Their son Nathan, died in 1878, age 25 of tuberculosis. Their daughter Maria married Van Doran Niles, she was the mother of Lida Niles who used to live Jennie Clover Rowell Thornton. After Maria died, Van Doran Niles married Malvina Tatro Thornton, the widow of Maria’s brother Joseph N. Thornton. Maria and her brother died the same year, 1898. 1. Lucinda F. Thornton born in 1842, she married Andrew Barr in 1869, they had two children. In the 1880 census Lucinda and her daughter are working as servants, her husband and son are living in Iowa. Andrew Barr marries a second time in 1882. Lucinda died 4 July 1894 in Barton, Vermont. Her daughter left to join her father. 2. Phebe C. Thornton born in 1843. She married Cornelius Clark and had two children. Date of death Jan 4, 1898. 3.William Thornton born 1844-1890. Married in Lansingburgh New York, Andecia Unknown. He worked as a grave digger. They had one child Albert W. Thornton. 4.Benjamin Franklin Thornton born 1848-1920. Never married. Farmer. 5. Maria B. Thornton b. 1848-1898. married Van Doren Niles, mother of Olin, died as a child and Lida V. Niles. Van Doren married Malvina Tatro. 6. Alva Thornton b. 1849, died prior to the 1860 census. 7. Nathan Thornton b. 1853 died 1878 of tuberculosis. 8. Jabez P. Thornton b. 1856-1924. married Mary E. Denison and had one child William A. Thornton b. 1883 d. 1920. He was a carpenter. 9. Joseph N. Thornton b. 1858-1898. Married Malvina Tatro. They had two daughters Lillian and Gertrude. He worked as a lumber dresser. Malvina married Van Doran Niles. 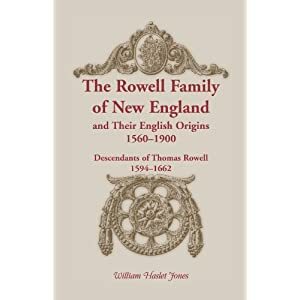 The book "The Rowell Family of New England and Their English Origins, 1560-1900: The Descendants of Thomas Rowell 1594-1662" is back in print. I bought a copy on amazon.com. This book was selling used for up to $350.00 so if you ever thought about getting your hands on a copy now is the time. I have the book in my genealogy store on this site if you want a quick peek at it. The contents are mostly "names and dates" but its a great starting point if you are struggling with your Rowell family tree. The book includes names of Rowell soldiers, Rowells of South Carolina, Rowells of Connecticut and other info. One disappointing note is that he got my great grandmother's name wrong. Oh Well, can't have everything. The book is written by William Haslett Jones. My husband's grandmother was Angeline Walkush from Stevens Point, Wisconsin. Her grandfather was Josef August Walkusz, born in Prussia around 1835. The Walkush family was part of a large Polish population in the American Mid-West. In fact, Portage County, where Josef settled, once had the largest Polish population in the country. On immigration and census documents the Walkush family indicated that they were from Prussia, and in one case they listed West Prussia as their home. This would make them "German Poles". Prussia ceased to exist as a country in 1918 at the close of WWI. It came into being in 1701, it grew in size and eventually encompassed two thirds of the German Empire. In 1795 Poland ceased to exist, swallowed by Prussia. Just as Prussia disappeared in 1918, Poland emerged in 1919 from the ashes of WWI. Confusion over exact numbers of Polish immigrants again becomes a problem during this period, with large under reporting, especially during the 1890s when immigration was highest. Most agree, however, that between mid-nineteenth century and World War I, some 2.5 million Poles immigrated to the United States. This wave of immigration can be further broken down to two successive movements of Poles from different regions of their partitioned country. The first to come were the German Poles, who tended to be better educated and more skilled craftsmen than the Russian and Austrian Poles. High birthrates, overpopulation, and large-scale farming methods in Prussia, which forced small farmers off the land, all combined to send German Poles into emigration in the second half of the nineteenth century. German policy vis-a-vis restricting the power of the Catholic church also played a part in this exodus. Those arriving in the United States totalled roughly a half million during this period, with numbers dwindling by the end of the century. A backlash from the more established "Americans" against this large, mostly Catholic, wave of immigrants helped forge a strong Polish identity in the US. Formation of Polish national, fraternal and religious organization created a support system for immigrants. Josef Walkush was born probably 1830-1835, his parents are unknown. He lived in the province of Pomerania in the village of Stezyca. (Stezyca is the dark pink area on the map, it is in the north of Poland) He married in 1861 to Marianna Kropidlowska , their first child was born in 1862. Together they had six children. It is not known what his occupation or status was in Prussia. Marianna died in Stezyca in 1879 at the age of 46. Josef married for the second time to Antonie Treba, a much younger woman. Josef was over 45 and Antonie was 21. Antonie was born 2 March 1859 to Anton and Josephine Hinz Tryba, also from Stezyca. The family surname has been spelled Triba, Tryba and Treba and Trebya. Antonie had at least two brothers, Anton and Joseph, who also immigrated to the US, both settled in Wisconsin. Antonie traveled from Bremen, Germany on the ship "The Oder" with five of Josef's children: Pauline, Carl, Maria, Josephine and Martha. Josef was not listed on the manifest, it is probable that he was already in Wisconsin, preparing for their arrival. His son August said that he came to America with his father when he was 15. Also on the ship manifest is a Joseph Tryba, quite possibly Antonie's brother. They all traveled in Steerage. The Oder left Bremen on September 11, 1881 and arrived in New York City on September 23rd.